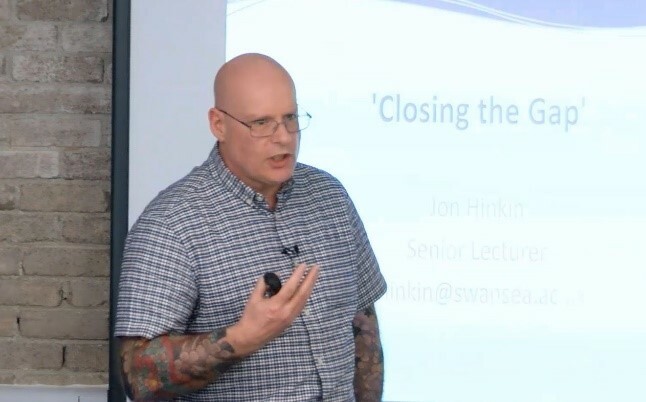 Recently, ELTA award winner, Jonathan Hinkin, from Swansea University’s College of Human and Health Science, delivered the second seminar in SALT’s ‘7 Characteristics’ series, ‘Scenario-Based Learning: Closing the Gap’. What was the Theme of the Seminar? Jon demonstrated how scenario-based teaching, learning and feedback with second-year Nursing students meet several of the principles identified in Chickering and Gamson’s 1987 extensive research. In doing so, the gap between theory and practice is reduced, providing a safe yet authentic environment. These methods have been proven to help the development of professional skills, with consistent, overwhelmingly positive student feedback. Before his seminar, Jon invited me along to one of his ‘Infection Control’ scenarios – I felt very privileged! A number of Jon’s expert colleagues had occupied carefully thought through roles as patients in hospital beds. 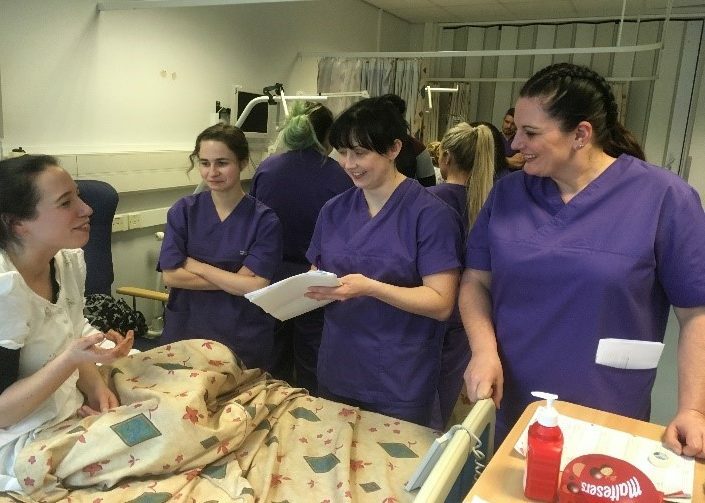 Students were required to use their clinical knowledge and interpersonal skills to spot hazards and risks in relation to infection control for each case, on a rotation system. Jon’s colleagues skilfully and smoothly alternated ‘in and out’ of their roles, asking probing questions and offering lots of encouragement and praise to students who remained highly engaged throughout the session. They then reflected on their own learning using a ‘diamond model’. Find out about Jon planning and management of the scenarios, as well as how he thinks they meet the ‘7Cs’, in the video of his full presentation here. I found the evidence Jon presented on how best to apply theory to practice (closing a potential ‘gap’) particularly interesting. 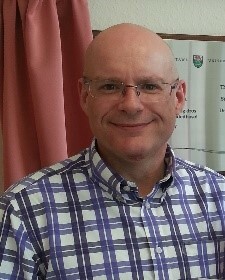 The evidence base included a study completed by Jon himself along with Jayne Cutter in 2014. Learning opportunities that prepare students for their future professional roles certainly seem to be high on the HE agenda at the moment. I think it’s great that we have good examples like Jon’s happening here at Swansea. We hope this example will be helpful to Academics in all disciplines who want to introduce scenario-based methods for the first time, to meet many of the ‘7Cs’ in the process. Please let us know how your own approach goes if you feel inspired. Hope to see you at the next 7Cs event! Please also contact Rhian Ellis (details below) if you would like any further information on attending or participating in the sessions.